hich part of the audio world has been growing most in recent years? - The answer is simple: the headphone one. It was noticed not only by small, specialized companies, but also large corporations. Today nobody can afford not to offer headphone as it would mean resigning from a large part of the revenue stream. It is also quit obvious that it is a mass movement, and so it has nothing to do with a perfectionist audio. It is equally clear that we, music lovers, who want to hear what really has been recorded, benefit from it as well. But main impact this market situation has had on a popular audio segment. Why is it so? I may be wrong, but after all, it is a natural "state" for a man. But if these efforts were concentrated mainly on high quality audio, and most people would start to use headphones in order to hear better, the record labels would start offering tones of binaural recordings. Only recordings of this type allow the sound to be presented “outside” the head and put listener in a very realistic space. And it's not happening, the recordings of this type are and probably will remain a curiosity, as once the Ambisonic recording in the home cinema world did. The only company that regularly releases recordings of this type is Chesky Records. The situation is slightly different with USB cables. Although the flourishing of this segment of our industry, associated with playing computer files using a computer and a digital-to-analog converter, also owes much to the mass market streaming, yet it still remains something that is assigned just to us, audiophiles. First of all, because to this day, many engineers negate the effect of the USB cable on a transfer of the digital audio signal. I will not even try to correct that. If you also think so, let me invite you to read some different tests, this one is for those who took the trouble of checking this theory themselves and who heard the difference. The reviewed cable came to us from Rome. 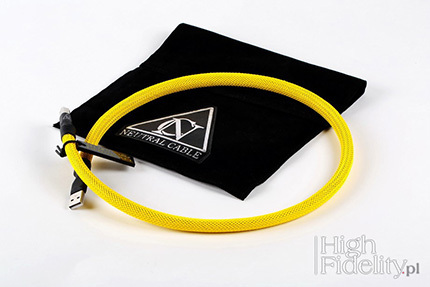 Fabio Sorrentino, the designer, founded the company with his wife, who is the owner of Neutral Cable, in 2002 and a year later they began to sell their cables. The business model, which is now a widely accepted standard, back then, at least in the audio industry, was still rare. From the very beginning they used direct sales through their website. This type of sale saves two margins - distributor's and retailer's - and so the final price is about 50% lower than in a classic audio showroom. That's a big plus. But there are some downsides too. First of all, customers must somehow learn of the company and its products and advertising budget of such company is close to zero. Secondly, customers can not see or try-out products as these are not available in retailers' shops. On the mass-product market it does not matter much, because people buy products based on the brand name, design and advertising. However, in audio a direct contact with the product before buying it is crucial. Companies of this type introduced sort of a "safety measure" for customers who can pay for the product and if they don't like it they can return it within specified time frame covering only the cost of shipping. Neutral Cable works just this way. Its reputation is based solely on the reviews in audio magazines and feedback from customers one can find online. We tested the most expensive USB cable offered today by this company - the 0.8 m long unit costs 500 EUR, and a 1.2 m long costs 600 EUR. It is made of 7N silver conductors insulated with Teflon. A pair of conductors used for power supply (5 V DC) is individually shielded and physically placed away from the pair of signal conductors. Both couples have, however, a common outer jacket. This yellow mesh, which makes the cable look very cheerful. It's terminated with classic plugs, and the place of their connection to the cable is masked with a black heat-shrink. A nice looking Bakelite plate is attached to the cable with the name of the company and the cable model engraved on it. The cable is delivered in a black suede pouch. 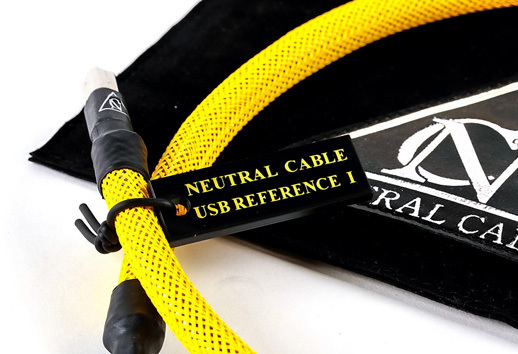 Neutral Cable is a company based in Rome, Italy, that produces and sale directly worldwide high end cable since 2003. 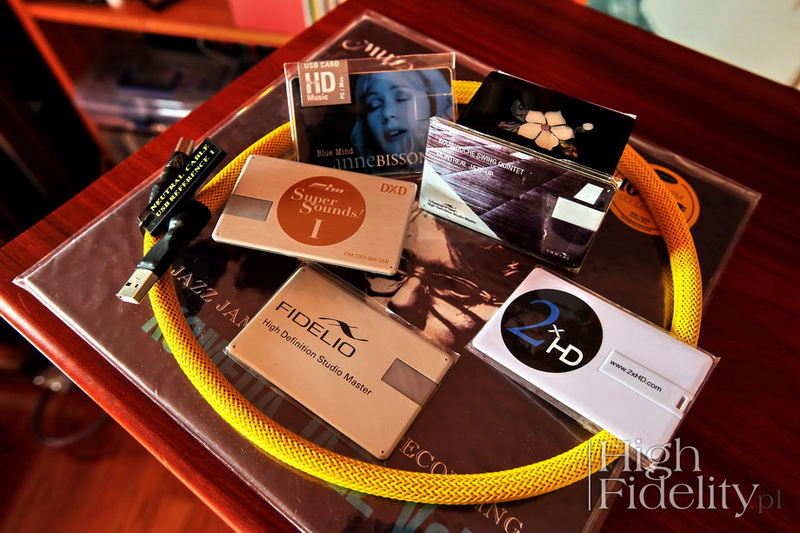 Our cables have been reviewed and awarded by magazines such as: „Fedeltà del Suono”, MonoandStereo.com, HiFiPig.com, Hifi Korea and HDPhonic.com. Our products are also very appreciated in Italian forums. I would like to explain briefly why Neutral Cable could be different from other cable brands. First of all Neutral Cable products are all hand made using the best conductors available. The hand craft allows us to go beyond the geometry and the materials imposed by cable machine-making. Secondly, the cables are made with Teflon insulated conductors because the dielectric quality has a great effect on the overall sound. 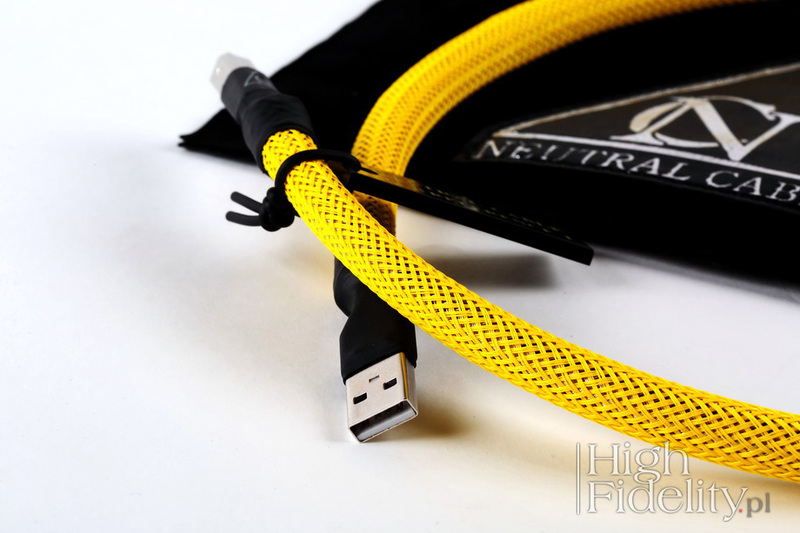 Teflon has a very low dielectric constant and this allows us to design cables with a neutral response, with no coloration to the sound, detail and with great dynamic, clear transients and very good PRAT. Thirdly, the Neutral Cable are made with different kinds of conductors: copper, silver plated copper, silver and hybrid combinations between them. Each metal has its sonic signature and Neutral Cable's aim is to provide the solution for every different system or listener taste. And other important feature of Neutral Cable products is the control and possibly the elimination of vibrations and resonances traveling along the conductors. But even if we can say all Neutral Cable products sound differently depending on the line of cables or the model, there are also some common features to all of them. All Neutral Cable products exhibit timbre accuracy, high dynamics and musicality. Details? Of course there is a lot of detail, but it is well integrated in the musical message, in an holistic way, in an overall view, and not shouted or emphasized like in some extremely analytical cables and hi fi gears (I call it „false detail” or the „wrong side of transparency”). 1. With Exogal Comet DAC Plus with Ion amplifier (more HERE); this system featured also Harbeth M40.1 loudspeakers. 2. iFi iDSD Black Label (Polish) DAC/headphone amplifier; in this test I used HiFiMAN HE-1000 v2 headphones. USB Reference I was compared to two other USB cable: Curious by Curious Cables and USB 1.0SP by Acoustic Revive; the latter has separate runs with two plugs for signal and power conductors. "A cable so transparent it seems it's not even there" is a beautiful fairy tale, that all of us love to hear even knowing that it is nothing more but a fairy tale. But it has an extraordinary power – it seduces, gives a sense of security, organizes world, frees us from the responsibility for our choices. And there is no much difference between us, the people living at the crossroads of technology and art, from our ancestors wearing furs and staring into the fire (since the evolution theory was withdrawn from primary schools program in Poland it can be also now treated just like another fairy tale). Tales about neutral audio signal transmission should be put right there where they belong, between other fairy tales. Even wireless transmission has its problems, for now even bigger ones than cables do. But it is also worth listening to what the producers we trust have to say. Even if in their message or press materials there is a bit of wishful thinking, we should try to separate it from what they are aiming for because it allows us to calibrate our expectations prior to listening session. And if that does not work, it means that the description was created in the PR department and can be treated as advertising, not valuable information. The case of Neutral Cable belongs to this first category. So when Fabio says he uses various conductors for different cables because each one has its own sound signature, ie changes the signal in its own way, he points out that while he strives for neutrality - the name of the brand suggests that - it will ultimately be a “controlled” neutrality. Which is quite clear when listening to USB Reference I (Improved). To make things simpler I shall refer to the cable as Reference I from now on. The Italian cable is very resolving. I have no doubt that it conveys more information than Curious and Acoustic Revive (the latter was recently replaced with a new version with Triple-C conductors but I haven't had a chance to listen to it yet). The difference manifests itself with more detailed and better controlled presentation. The latter feature is most obvious in the low frequencies, because the Reference I accentuates a start and stop of each sound more accurately, and also more precisely presents an acoustic environment in the recording. It was useful, for example, with the Aga Zaryan recordings. They were mixed and masted in a very natural way, with a lot of bass, without limiting its extension and contouring. With Curious the lower end seemed overblown, with decay that was not that well controlled. It was not unpleasant and had its charm. The Italian cable shortened bass a bit, disciplined it, and above all it improved coherence of the whole band. These differences were most obvious when I listened using headphones, but loudspeakers conveyed them clearly enough, too. And this presentation seemed to me to be more neutral, closer to the situation in the recording studio. I'm talking about the bass, because it allows me to explain it in an easiest way, but really with the Italian cable the whole range is well focused. The top end is a bit more lit up than the two reference cables and there is simply more of it. Depending on the system - again confirming what Fabio said - it will be a step in the right direction, ie towards the sound opening up, or to the side, ie shifting tonal balance up. If the system sounds pretty light, or if our source (computer or streamer) sounds like that, then Curious will do better job because it offers a more “fleshy” sound with a sweet top. But if we want to know more about what's going on in the recording, but without artificial highlighting of details, without treble being too bright, then Reference I will be a better choice. 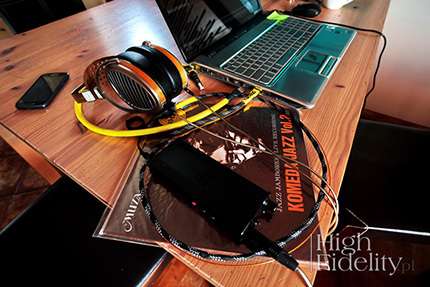 Even with ultra-clear and fast HiFiMAN HE-1000 v2 headphones the sound was balanced and full. The tonal balance was slightly shifted up, but only because I got more treble, that was also more open and resolved, and not because something was sound was leaner. Silver conductors, if wrongly used, tend to sound dry, but this is not the case. I would even say that with some recordings Neutral Cable sounded more creamy as if it filled up the recording with information that was previously missing, eg. in 24/96 files from the Ella Fitzgerald & Louis Armstrong Ella and Louis album. So the cable is a detailed one. It allows listener to hear more of those little, tiny elements, such as flipping pages in Under a Blanket of Blue. I focused on these two elements, ie control and resolution, but not because these are the only two advantages of the Italian cable, but because it them that give it an edge over the competition. Not always and not in every system, but each time one can use them without a fear of destabilizing the performance, they will be irreplaceable. 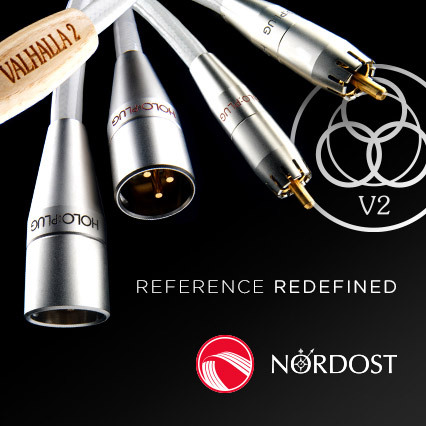 This cable offers a clear, yet saturated, well-balanced sound that clearly allows system to take its performance a step up. The Curious remains my favorite USB cable, but mainly because it is a very "safe" choice, i.e. it never causes system to sound too bright, to sharp, it always delivers a refined, rich sound. The USB Reference I (Improved) adds more information on top of that. If that's what you expect from you cable, i.e. 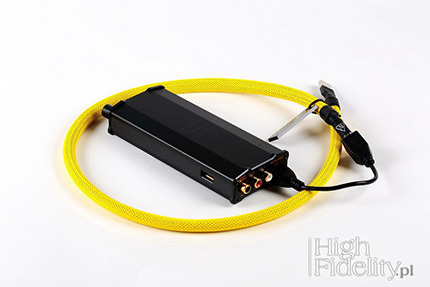 a "tube", which is able to passed as much information as possible from the source to the receiver, then the Italian cable will be an excellent choice. It will let you to hear more music.